Recognized for her ability to "connect the dots" and create innovative solutions, Shirley has earned a reputation for successfully building value for internal and Partner stakeholders. Shirley has led numerous cross-functional teams for major regional and global transformation initiatives to revitalize channel revenue growth, speed time-to-revenue for new products, and strengthen a company's competitive business capabilities. Adept at building programs that leverage a channel partner's ability to deliver positive results, Shirely knows how to achieve the stated goals while lowering costs and creating market differentiation. 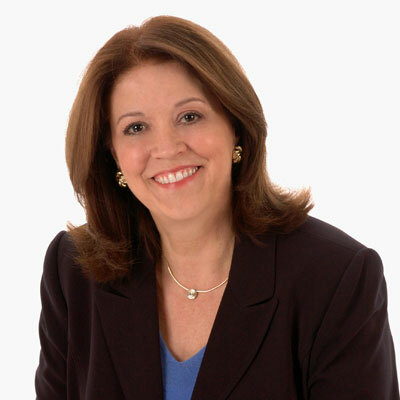 With extensive experience in driving improvements in the "total customer and partner experience," During her career, in addition to Commvault, Shirley has worked for industry leaders such as Dell, SAP and McAfee where I addressed issues ranging from customer/technical escalations and margin models-to revenue growth and launching/deploying new products/services through multiple routes to market. This past year I focused my efforts on further developing and expanding our partner programs, which included the introduction of Commvault's program for Global Systems Integrators. Our cross-functional channel-focused team developed new ways to bolster Commvault's operational capabilities as they relate to program administration and key channel business processes enabled through our Partner Portal. This effort was part of our roadmap to make it easier for our partner community to work with Commvault. I spearheaded key initiatives in several operational areas. For instance, working with cross-functional teams and across global theaters, we built global capabilities with localized attributes critical to meeting specific needs. These efforts involved developing workflows, defining system changes, acquiring automation commitments and resource allocation approvals, as well as engaging IT/Salesforce teams and subsequently implementing and communicating changes. We also enhanced our Partner Portal and set it on a new platform for future improvements based on our channel-centric roadmap. I admire Gail Evans, author of several books and a renowned speaker. She was a primary speaker at a workshop for women in management. She now works with a prominent university specializing in technical engineering degrees. Having identified a gap in the workplace, she developed a program to coach male engineers on how to work more effectively with women (e.g., peer engineers and business decision-makers, especially in the high-tech industry). She also coached the audience on how to mentor young women to work effectively with male engineers. She believes each offers different perspectives and benefits in the workplace. I would tell my 16-year-old self that I am the only one who can limit how much I can achieve or how well I perform. I would encourage her to take measured risks, "think outside the box" as well as end-to-end, and always remember the importance of the "value" chain in any relationship. I would also counsel my younger self to freely share my sense of humor with others-even in difficult situations, and to laugh at least once a day. I would like to master speed-reading techniques so that I could make the most of my available time to read industry-related information, to closely track the digital transformation phenomenon, and to dialogue and exchange information with others globally, both inside and outside my industry. I thoroughly enjoyed reading "Radical Candor" by Kim Scott, who explores the importance of being open and transparent when interacting with colleagues, customers and stakeholders. According to Jeff Kinney (author of "Diary of a Wimpy Kid" series), "Scott's experiences leading teams at Google and Apple led to this book, which espouses a workplace culture where leaders care deeply about their employees and challenges them to be their best selves." I couldn't have said it any better.